Size: ~16" long (nose to hind legs); ~30" long (nose to tip of tail). 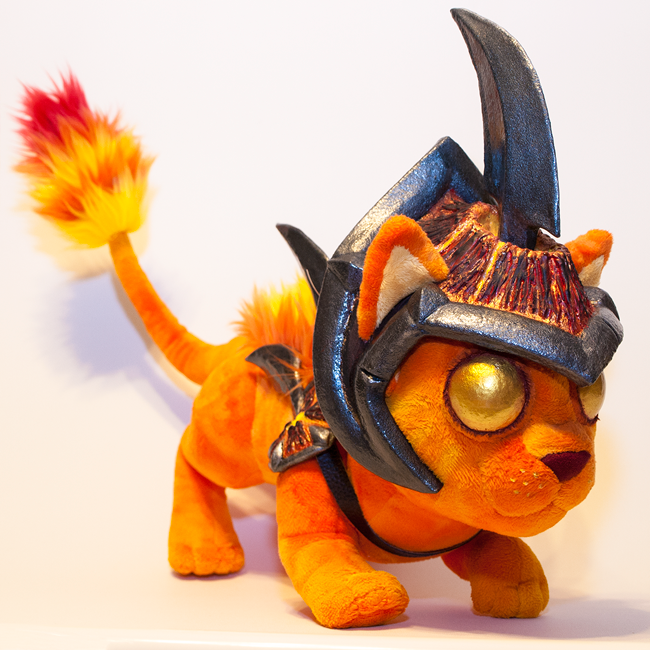 A life-size, cosplay appropriate plushie of the Cinder Kitten, a popular battle pet in World of Warcraft. The plushie is made from orange and yellow gradient minky for a soft touch with a fiery appearance. His back and tail flames are made from several different colors of high quality faux fur, carefully sewn and blended together, and stitched in place. His paws and some highlighted details have additionally been airbrushed yellow. His eyes are sculpted from plastic and painted metallic gold with a clear acrylic topcoat for extra shine and protection. All of Cinder Kitten's armor has been sculpted from Worbla with EVA foam cores, and painted with metalic acrylic paints to ensure that his armor is the highest quality possible (as is only appropriate for Blizzcon cosplays). 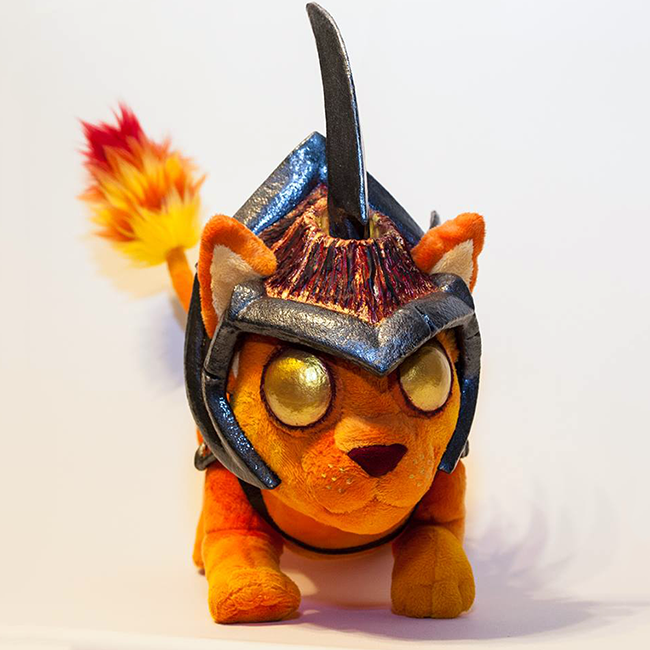 Aside from him being a fairly large plushie with lots of subtle airbrushed details and complex faux fur, the armor is somewhat expensive and incredibly time consuming to make, which is why Cinder Kitten is so expensive. Thanks for understanding!